What is Art in Motion? To put it simply, it’s Redbubble’s brand new campaign promoting their awesome new street style apparel & accessories. I must admit, I love their new leggings and pencil skirts so imagine my excitement when I found out that one of my designs is being featured. 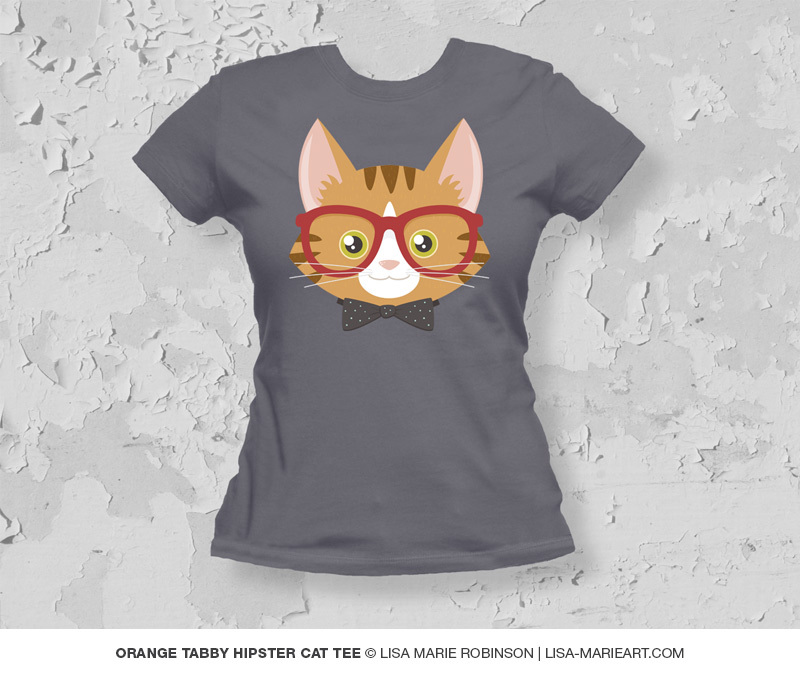 My Orange Tabby Hipster Cat tee has been chosen as part of the Geek Nouveau section along with a selection of products from some other lucky, and well deserved, artists & designers. Loved looking through all the other fantastic designs while eating breakfast and I’m starting to get rather excited about a few new products that appear to be in the pipeline. Absolutely can’t wait for those! Loved watching the Art in Motion video too. Shame hipster cat wasn’t among the selected designs being worn but I guess you can’t have everything. Can’t be too greedy, can we?